This week for the Recreational CBD Weekly we’ll be discussing what to do in order to open your own legal weed shop in Europe. Why the DaVinchi IQ is the best vaporizer for your hemp flowers, how to choose the best bud, and why legal weed is important for the European economy, will also be answered. Don’t forget to check our new ‘Featured CBD Products & Deals‘ section, below. Happening almost under the radar, a huge ‘Legal Weed’ revolution is going on in Europe. All over the continent, from France to Greece, new shops are offering recreational CBD products, and smokable hemp flowers are legally sold everywhere. If you have decided to capitalize on the legal weed industry, this is what you need to know. As a premium recreational CBD product with medical benefits, Choosing the right hemp flower is important. When buying CBD hemp flowers there are several elements that make all the difference between a regular product and a premium one. There are also some factors you need to be aware of in order to not break the law. Interested in trying the new legal weed? read the report below. What should you look for when buying CBD Flowers? Looking for the Best Vaporizer For Your Hemp Flowers? We have tested the DaVinchi IQ vaporizer and approved it as the best one for your CBD hemp flowers! With a stunning design, smartphone controls, 3-hour battery life, flexibility in controlling the heating time and above all great results, you will enjoy every time you use the IQ for vaping your premium hemp flowers. At a time when hemp flowers taste and smell so amazingly good, you need a smart vaporizer to get all the benefits from their terpene profile. The DaVinchi IQ is the best one for your flowers! Everyone knows that the economy in the EU can be better. Recently, with the introduction of CBD hemp flowers, there is a new opportunity for economic growth, coming from the sales of legal weed. Is Europe going to be the next Colorado? Will you be working next year for the hemp flowers industry? Most chances you have been using CBD before and you are doing it often. Could it be that recrweational CBD has medical benefits and that we all should be using using CBD daily? Looking for a premium hemp flower? 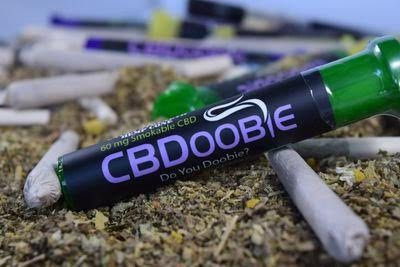 CBDoobie, by Euphoric Labs, is made from organic proprietary herbal blends, including chamomile and linden leaves along with 60 mg of CBD and the Terpene Profile ,giving you the taste of an amazing strain with the effects of CBD. Choose between the following terpene profiles: Strawberry Diesel, Super Lemon Haze, Jack Herer & OG Kush. Starting at £8.99, Provacan CBD eliquid offers you a full spectrum CBD product for your daily use. Since inhalation is the fastest delivery mechanism to administer CBD, you will that CBD Eliquid bring you almost instant relief.